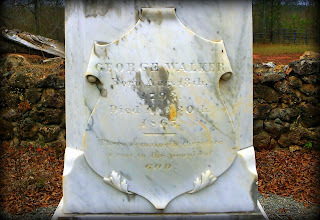 The weeping willow pictured above is part of the tombstone placed for George Walker (1793-1865). 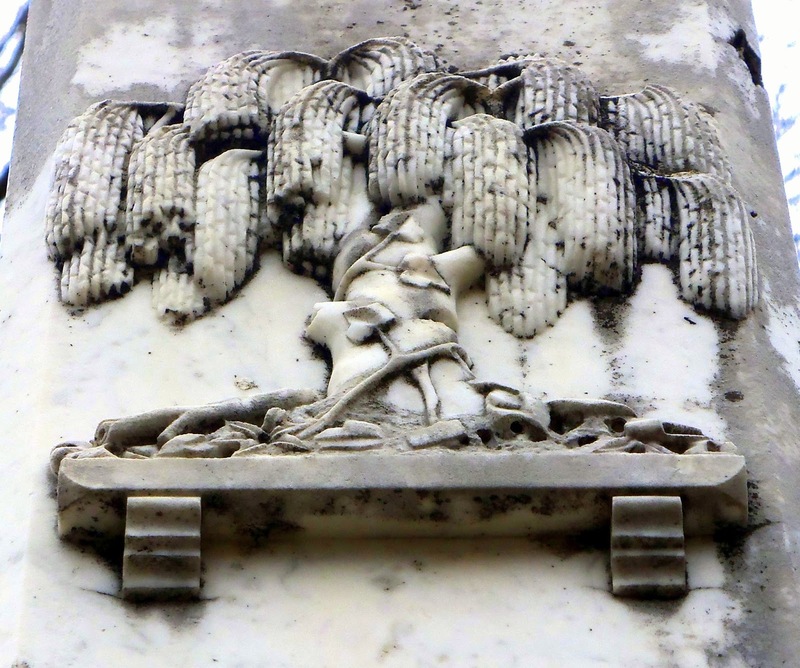 Another part of the epitaph is, "There remaineth therefore a rest to the people of GOD." This is found in the Bible, book of Hebrews, chapter 4, verse 9. It is one of the promises of God. 1. Douglas Keister, Forever Dixie: A Field Guide to Southern Cemeteries & Their Residents (Layton, UT: Gibbs Smith, 2008), 153. 2. Keister, Forever Dixie, 161. 3. Keister, Forever Dixie, 159. I've seen several examples in old Alabama cemeteries. Thanks for spotlighting this symbol. I was in a rural cemetery in Tennessee yesterday and saw many weeping willow motifs that seemed to be by the same artist or after the same pattern dating from the early/mid 19th century.